Interview Blitz - in San Fran THIS WEEKEND! Interview Blitz – in San Fran THIS WEEKEND! Just a quick post for y’all today – not much, just a major news flash. We’re jumping off of Skype and into your backyard. That’s right, we’re taking our interview prep services (learn more here) on the road. It’s our first Interview Blitz Weekend! When and where, you say? This Saturday and Sunday (October 27 and 28), between 8AM-4PM, we’ll be in the San Francisco Bay Area (near the SFO Airport). Fly in, if you want. Email us here to apply – include your resume and available time between 8AM-4PM Saturday and Sunday (October 27 and 28). We’ll confirm your time – then you complete your purchase ($200 for each 45-minute interview slot) within 12 hours to lock it in. We’ll email you the location – show up 15 minutes early with your resume and come prepared to show off! It’s not because we just can’t get enough of cases – we’ve done hundreds this month already. Nope, it’s because we can’t get enough of you – we’re excited to get off the computer and to meet you in person. And let’s be honest: an in-person interview is the best simulation for the real thing. How often do you get to get practice with a case expert – in person? One that isn’t going to potentially impact your future at the firm? Providing the opportunity to get raw, real feedback that will take you to the next level? Never? Right. Slots are first-come, first-served. We’ll take a total of 6-10 applicants. Let us know ASAP if you’re in by emailing us here. Why in the world did we wait so long? We’re fun. And spontaneous. And so are you. And you’re just finding out about and heading into interviews RIGHT NOW, so the timing is perfect. Let’s get together. Right now, this is the only one planned. It may be our only Interview Blitz ever. Or it may not. Let’s see how it goes. Email us to sign up for a slot in our Interview Blitz. Don’t wait! If that’s not fun enough for you, stay tuned – we have more up our sleeve. That’s right – we’re publishing a Kindle (and printed) version of our super-popular Consulting Bible. We’re rolling out something new next month. We’re planning our contests and free giveaways for the next few months. We’re plotting our first Consulting Boot Camp (in London). 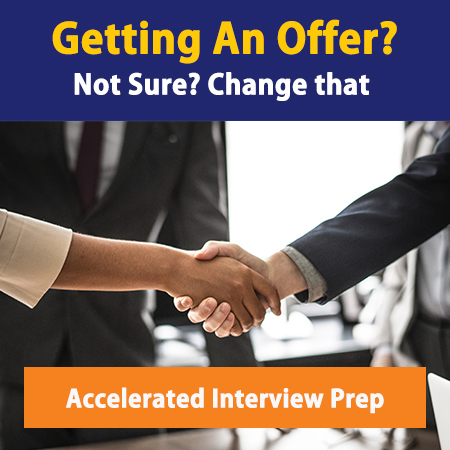 And all this, while we’re pulling 12-15 hour days preparing you for your interviews with MBB, Deloitte, Accenture, Oliver Wyman, Booz, LEK, ATK, and more. Want to be the first to know about all our new stuff? Subscribe to our email list here.